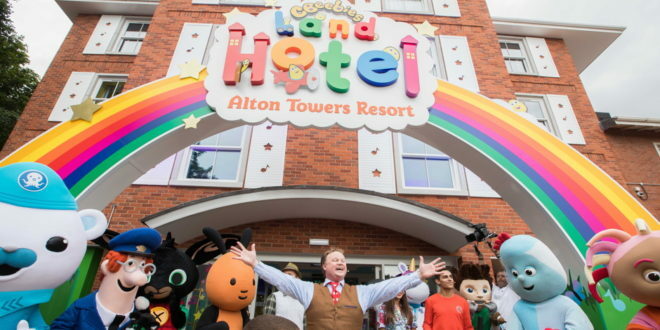 The world’s only CBeebies Land Hotel has opened at Alton Towers Resort. Boasting 76 fully themed rooms, the hotel features a dedicated entertainment area, restaurant and a reception area that includes a central CBeebies Bugbie storybook feature with interactive lights and audio. 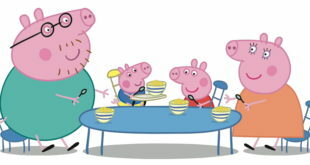 Guests will also get the chance to meet some of their favourite characters, from Postman Pat to Bing and Little Monster. 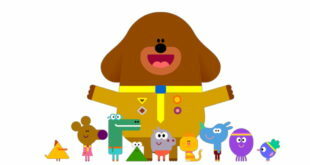 “The new CBeebies Land Hotel is an exciting development, which allows for a fully immersive experience for pre-school children to interact with their favourite CBeebies shows, in an environment that will engage parents too,” said Stephen Davies, director of live events and audio music at BBC Worldwide. Prices for rooms start from £197 per night, and feature toddler friendly features including bathroom steps to the sink, children’s toilet seats, baby baths and a cot. Plus, all rooms are designed with a separate area for children and parents and also include a children’s entertainment wall with interactive play items.